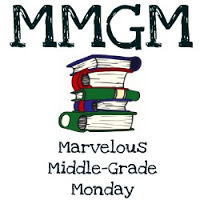 ← Are Middle Grade Book Trailers Important? I have read many stories recently with young male protagonists. I decided it was time to balance that out. After a lengthy online search to come up with a few female heroines, DESTINY REWRITTEN by Kathryn Fitzmaurice surfaced. I liked the cover and had never heard of the author. One problem: Her third novel’s release date was posted as February 19th and by the time I figured out that was 2013 and not 2014…Well, I had tracked down her debut novel, THE YEAR THE SWALLOWS CAME EARLY and got an introduction to her story telling prowess. It turned out to be a very good decision. That’s what Eleanor “Groovy” Robinson’s horoscope says the morning everything begins to change. Suddenly, her father is in jail, her plans to attend culinary school when she grows up fall apart, and it feels like maybe nothing will ever be right again. But the swallows that return to her coastal town every year bring a message of hope with them that even Groovy can’t ignore. Can she forgive the failings of someone she loves in order to bring her family back together again? Kathryn Fitzmaurice’s tender debut novel about food, family, friendship, and forgiveness is as full of promise as the swallows that return home to San Juan Capistrano every spring. The main character with a great name, Eleanor “Groovy” Robinson. She’s determined and knows what she wants– to cook and eventually attend a prestigious cooking school. Her charming innocence is challenged throughout the book, but Groovy holds on to her faith and love to make the world the best it can be in her eyes. The pacing is perfect with short chapters that keep you pushing to the end. The metaphor of a dandelion is expertly woven into the story. I’ll be reminded of this book whenever I see the seeds of a dandelion blowing across a peaceful summer sky. How friendship can happen in unexpected ways. Groovy connects with another character when she initially thought they had nothing in common to share. The setting. Kathyrn’s descriptions made me feel I was standing in the middle of San Juan Capistrano, California watching those swallows come home. Very poetic. But it wasn’t the dandelion that made me so sad. It was how I was like the dandelion, minding my own business, waiting to grow and be something. And he hadn’t seen me waiting. 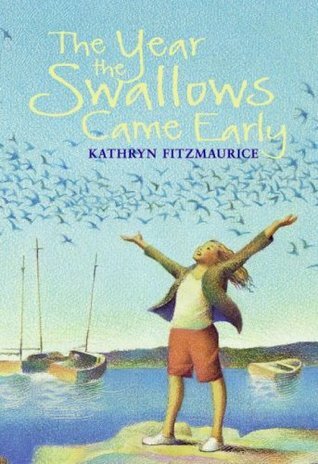 This entry was posted in Reviews and tagged Juvenile fiction first person, Kathryn Fitzmaurice, Middle grade, Middle Grade Book Reviews, The year the Swallows Came Home Early. Bookmark the permalink. I must, must read this. Have read Destiny Rewritten but not this. Hosting read-a-thon first weekend in March and this one be in the pile! Thanks, Greg. This sounds truly lovely! Thanks for the recommend–I think I’ll add it to my March reads! I thought Destiny Rewritten came out a year ago (??). I loved The Year the Swallows Came Early. It’s been a while, so I don’t remember details. Her second book, A Diamond in the Desert, is also impressive and well worth reading! You’re right. I have for some reason been stuck on this still being 2013. It’s no wonder I’m a year behind on house chores, etc. I’ve got both Destiny Rewritten and A Diamond in the Desert in my growing to be read pile. Ha ha. Don’t feel bad, Greg. I’ve done the same thing. Many times. Oh, this sounds wonderful! I love that she wants to go to cooking school. Adding this to my TBR list. I am ashamed to admit I have nor yet read any of Kathryn’s books–which all do sound lovely. And, like you, I do need to read a book with a female protagonist. They seem to be less evident these days, what with the push to get boys to read. Thanks, as always, for stopping by Middle Grade Mafioso this morning. One of these days I will find your e-mail address, so I can thank you not only in your own blog comments. Yes, the sight of this book cover sends every boy I’ve worked with running the other way. Girls, on the other hand, read boy or girl centered books. I appreciate your time also in stopping by the old blog today. I’ll be back to my male protagonist in my next review.